Recognized in The Guardian as a ’50 Women to Watch’ and the #Inspire100 list, Chrysi is a marketing, communications & digital executive with an entrepreneurial approach. Since 2009 she has run digital for (RED) – Bono & Bobby Shriver’s AIDS organization that has raised over $465MM through creative partnerships with the world’s most iconic brands including Apple, Bank of America, Starbucks and Coca-Cola. Chrysi has helped create digital first marketing moments including Apple’s ‘Apps for (RED)’ and ‘Games for (RED)’ an App Store takeover in 155 markets, Snapchat’s first global filter for good raising $3MM, turning Twitter (RED) – literally and (RED) is the first non-profit with over 1MM on both Facebook and Twitter. 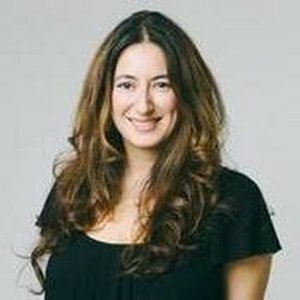 Prior to (RED) Chrysi was a founding member and VP Global Marketing & Communications of Espotting, Europe’s first search marketing network that she grew to 250 people across 8 markets before selling for $200MM and she was Managing Director of Steak NY which sold to Dentsu. She is an investor in Student.com and BeautyCon Media, an advisor to School of Doodle, WIE and Station to Station – a train that crossed America creating art and music from Giorgio Moroder, Beck & more.